Nick Mason’s Saucerful Of Secrets confirmed! 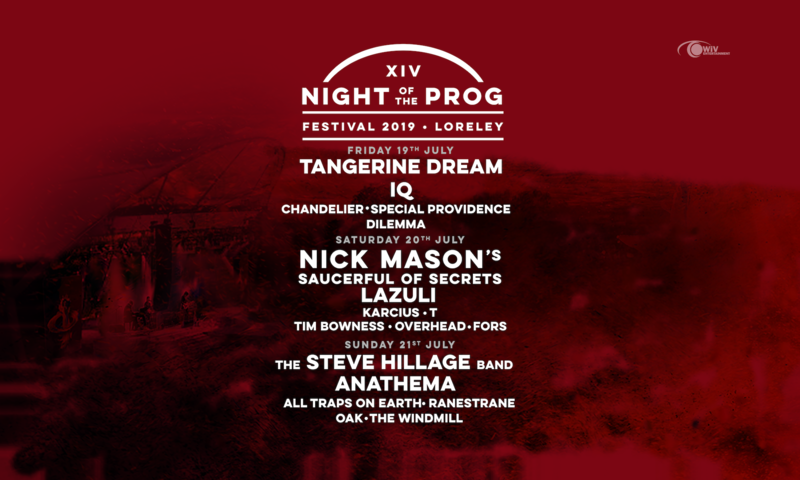 We are very proud to announce that PINK FLOYD’s drummer NICK MASON will be headlining the Saturday, 20th July 2019, at our NIGHT OF THE PROG FESTIVAL on the famous Loreley, Germany. NICK MASON is the only member of PINK FLOYD who can be heard on every album and every tour. Contrary to his colleagues Roger Waters and David Gilmour, Mason never had much interest in a solo career and has released only three solo albums. Earlier this year, Mason formed a band, NICK MASON’s SAUCERFUL OF SECRETS. The band consists of Spandau Ballet guitarist Gary Kemp (guitars and vocals), guitarist Lee Harris (Blockheads), Guy Pratt on bass (familiar to Pink Floyd fans), composer Dom Beken (keyboards) and of course Nick Mason himself on drums. Nick even got the blessing from both David Gilmour and Roger Waters for this project. The band has performed a highly successful tour earlier this year and will be out on tour again in 2019 in North America and the UK. Their setlist is a tour-de-force of old Pink Floyd material, as the band’s name suggests. We are proud to have NICK MASON’s SAUCERFUL OF SECRETS on board next year. NICK MASON’s SAUCERFUL OF SECRETS! Next PostNext STEVE HILLAGE BAND confirmed!